Florisene® is a clinically proven supplementation programme shown to help women with excessive and persistent hair shedding. This problem affects an incredible 4.8 million women in the UK and Florisene® is a cost-effective answer for women with this type of hair loss. Florisene® is a clinically supported supplementation programme shown to help women with Chronic Telogen Effluvium (CTE), the term used to describe excessive and persistent hair shedding. CTE affects an incredible 4.8 million women in the UK and Florisene® is a cost-effective answer for patients (who are typically between the ages of 18-50) with this problem. Research involving hundreds of women has shown that the major cause of CTE is low serum ferritin. This reflects the amount of ‘stored’ iron in the body. For some women, low ferritin levels results in gradual hair loss, the end result to the sufferer being a ‘thinner’ ponytail or less hair to clip back. Low serum ferritin in women is now a widespread problem due to reduced red meat consumption and menstrual blood loss in women of reproductive age. The good news is that research has shown that if the serum ferritin is raised above a certain point then normal hair growth re-establishes. Florisene® is a clinically-relevant iron supplementation programme, consisting of a highly absorbable form of iron and a significant level of the essential amino acid L-lysine, plus 2 other known iron-synergists. Research indicates that low L-lysine intakes may exacerbate a reduced ferritin level and clinical studies show that for some women ferritin levels will not improve without supplementary L-lysine. 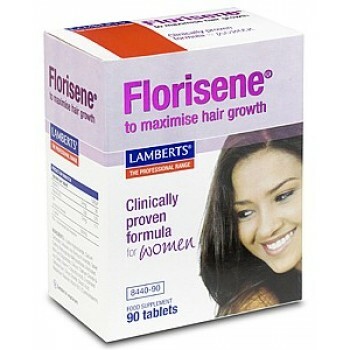 Lamberts Florisene is a unique formula that has been developed by one of Britain’s leading hair specialists. 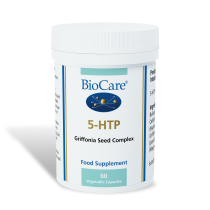 It consists of a highly absorbable form of iron, a significant level of the essential amino acid lysine, along with two other essential nutrients that are required for hair growth. 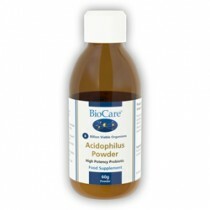 Calcium Carbonate, Cellulose, Tablet Coating (Hydroxypropyl Methylcellulose, Acetylated Mono and Diglycerides, Colours: Titanium Dioxide & Iron Oxide), Crosslinked Cellulose Gum, Silicon Dioxide, Stearic Acid, Magnesium Stearate. Disintegration Time Less than 1 hour. Allergen Advice The following list of allergens are excluded: Wheat, Gluten, Barley, Soya, Eggs, Milk and milk products, Lactose, Nuts, Sulphites, Celery, Fish, Shellfish and Yeast. Other iron containing supplements should not be taken whilst taking Florisene®.Use in pregnancy, during breastfeeding, or if planning to become pregnant: Consult a doctor before taking Florisene®.Florisene® should not be taken whilst taking oral antibiotics.Florisene® should not be taken within 2 hours of taking any medication, including indigestion remedies.This amount of iron may cause mild stomach upset in sensitive individuals.This product contains iron, which if taken in excess, may be harmful to young children. Keep out of sight and reach. 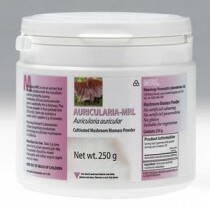 Florisene® is safe at the recommended intake. In cases of overdosage, seek medical help. 1-3 tablets daily.Florisene® should be taken at 3 tablets daily for the first six months. 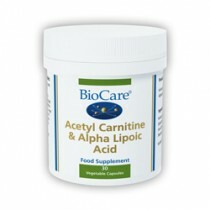 Thereafter, a maintenance intake of 1 to 2 tablets per day will be sufficient. Do not exceed recommended daily dose. In trial conditions, women using Florisene ® noticed some reduction in hair shedding three to four months after starting the supplement. It can take up to 6 months or longer to see the full benefit.